The Summer fun times begin during northern Michigan events in June. 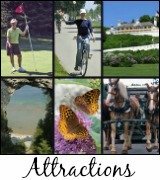 The showcase event is the famous Mackinac Island Lilac Festival but it's not the only great happening around the Mackinac area. So, be sure to scroll to the bottom of the page to read about the others. 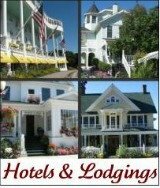 Come one, come all to the 62nd Annual Mackinac Island Lilac Festival which is the biggest Mackinac Island Festival all summer and it is not to be missed. To read about all the fun to be had at this festival click here. June 11, Saturday at 9:30 a.m. - Get ready, get set, go! The Lilac Festival 10-K race begins at Windermere Point. To read more or to register for this race click here. The children's Lil Lilac Run/Walk race begins at 11 a.m. at the school play ground. June 11, Sunday at 7:30 p.m. watch (and maybe even participate) Country Line Dancing on Market Street performed by the entertaining West Michigan Bootscooters. June 13, Tuesday has two Tournaments. The Lilac Festival Golf Tournament takes place at the Grand Hotel's Jewel Course. While from 7 to 9 p.m. on Market Street is the Jamie Bynoe Lilac Festival Street Hockey Tournament. June 15, Wednesday from 9:30 to 11:30 . enjoy a free tour of the beautiful and historic Michigan's Governor Summer Residence. The views are absolutely spectacular and the house is House Beautiful vintage! 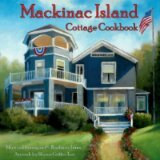 June 16, Thursday at 11:30 a.m. begins a food feast at The Taste of Mackinac This very popular event at the exquisite Harbour View Inn with great food, beer, wine, and soft drinks. Purchase tickets at the Tourism Bureau on Main Street. Don't miss this super event. June 17, Friday at 4 p.m. come to the Mission Hiss Stable for a Stable Tour and Lemonade Sale. It's a fund raiser that the 4H Program has planned to help raise funds for the new community stable. At 5:00 there will be a Blessing of the Animals ceremony. June 18, Saturday at 1:00 watch and get ready to chuckle the Epona and Barkus Parade which starts at the Mackinac Island School and heads down along the boardwalk to Windermere Point. Old and Young will love this parade. Have a tasty hot dog at the Windermere Point Hot Dog Stand. June 18, Saturday at 1:30 is the D.E. Wallens Wild West Show which is the 7th Annual Mackinac Island Dog and Pony show. Great fun! June 19, Sunday at 2 p.m. head to Marquette Park to enjoy Pipe Bands and the Scottville Clown Band during the Music in Marquette Park Concert. June 19, Sunday at 4 p.m. is the Grand Finale Parade! Travels down Main Street from east to west. Don "The Duck" Andress is a direct descendant of Chief Mackinac and leads the parade in complete Native American attire and on his beautiful horse! See photos from the 2010 Lilac Festival Parade by clicking here. Wow...one thing to run across Big Mac but here's a chance to ride your bike across it by participating in the Big Mac Shoreline Scenic Bike Tour. Only 400 bikers are allowed! After riding across the Bridge you then can choose to take a 25, 50, 75 or 100 mile bike tour along the shores of Lake Michigan in the Upper Peninsula! The ride begins at 7 a.m. You end at the Arnold Line Ferry in St. Ignace which will take you and your bike back to Mackinaw City via ferry! 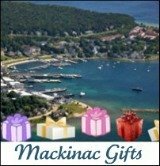 Contact Kelly@mackinawchamber.com or call 231-436-5574 for registration or more information. There are some terrific northern Michigan Events in June for you and your family to enjoy - don't miss them. If your you know other northern Michigan events in June that you would like to tell us about just click on the Form below. Have A Great Event Our Readers Should Know About? 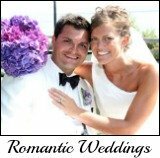 Do you have a great event? Share it! TIP: Since most people scan Web pages, include your most important facts about your event in your first paragraph. Not only are there fun northern Michigan events in June but also terrific attractions.